A DALGETY Bay pub has been named the best in Fife by the Campaign for Real Ale (CAMRA), for the second year running. 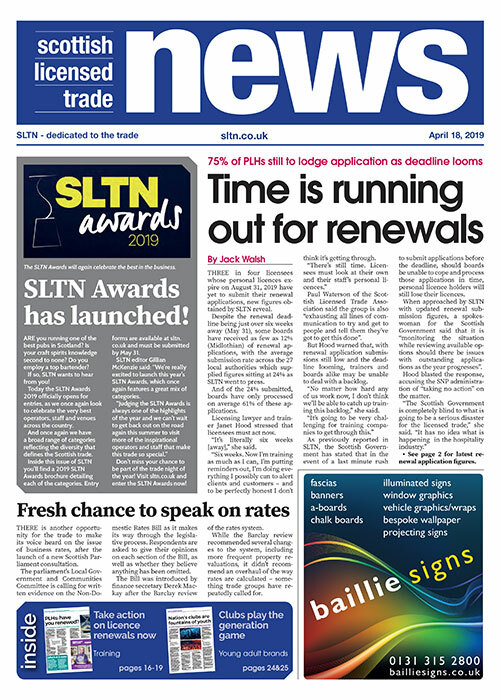 The Hillend Tavern has been run for nearly seven years by husband and wife team Mike and Francesca Henderson and offers customers a choice of four real ales. “The pub didn’t do real ale before we came in,” Mike told SLTN. “After two and a half years we decided to get real ale in and give it a try. “We went from one font to two, to three, up to four. Last week the pub’s cask taps were pouring beers from Stewart Brewing, Harviestoun, Eden Mill and Timothy Taylor. “We try and get some of the more popular ones on, but keep it local at the same time,” said Mike. 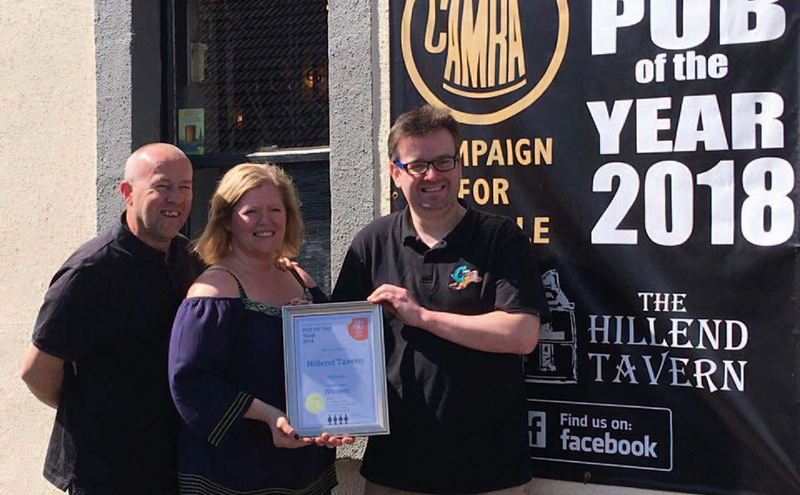 As CAMRA’s Fife Pub of the Year, The Hillend Tavern will now progress to the national stage of the competition, with results expected later in the year.